2018 will be remembered as a year of great achievements for Hannes Janker. Winter Cup, WSK Super Master Series, FIA Karting OK European Championship: the 21-year-old German stepped up his game to become one of the most impressive names on the Karting scene. 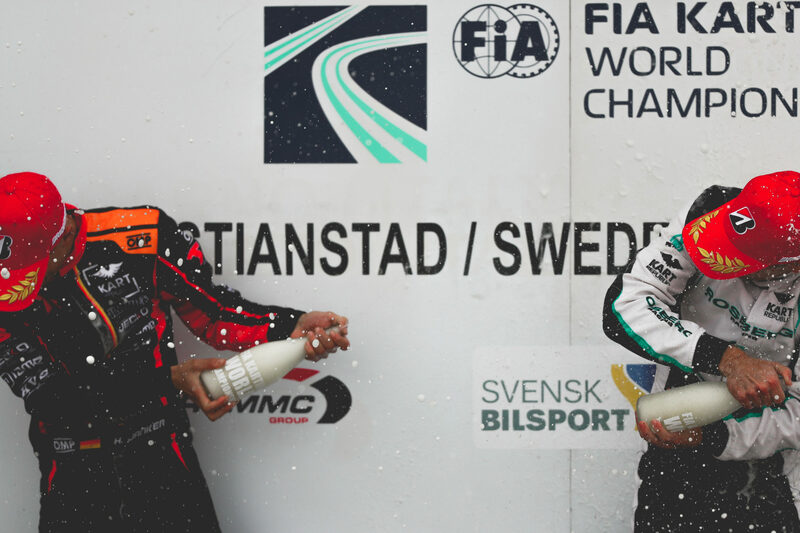 But still, the TB Motorsport team driver decided to step down for next season in the wake of his 2nd place finish at the FIA Karting World Championship at Kristianstad last September. So, we went on to ask what the future holds for one of Karting’s most talented racers. 109, Janker, Hannes(DEU), TB Racing Team(KR/Parilla/B'stone), Ampfing, 17 June 2018. FIA Karting European Championship, © 2018, Alexandros Vernardis / The RaceBox. 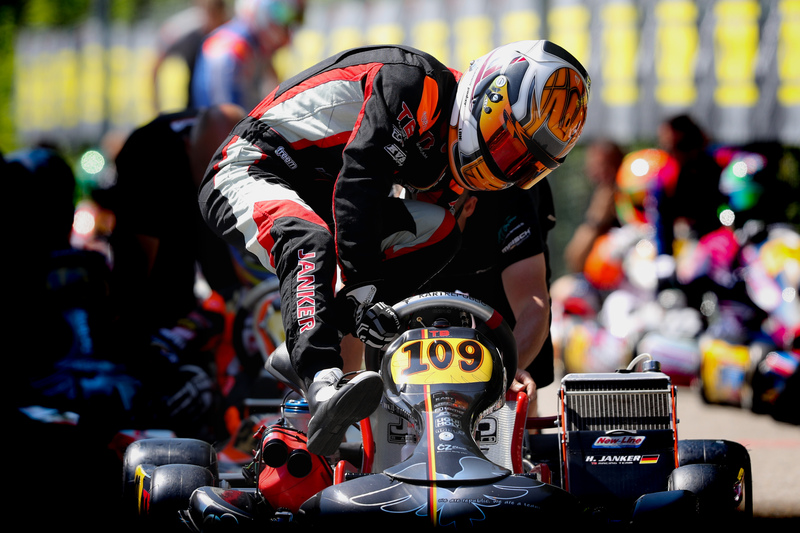 Hannes, how did it feel like winning this year’s FIA Karting OK European Championship? Winning the European Championship felt amazing! It was always my dream to win such an important CIK-FIA competition and it’s finally done. How would you reflect on your performance curve thorough the season? It has been just perfect! I mean, we won the Winter Cup in Lonato, the WSK Super Master Series, the European Championship. If you are not happy with that, you will never be happy. We made a huge step forward this year in being consistent. We never had any technical problems, especially at PFI in England, when I was really surprised to win. We had not tested there before, so we started from zero and did very well with the win. This whole season has been about making a step forward. In the end, it’s just the result of many years of hard work together with my team. We finally have the little luck you need along with our strong material. 236, JANKER, Hannes (DEU), Tb Racing Team (KR/Parilla/Bridgestone), Sarno, 8 April 2018. WSK Super Master Series, © 2018, Alexandros Vernardis / The RaceBox. 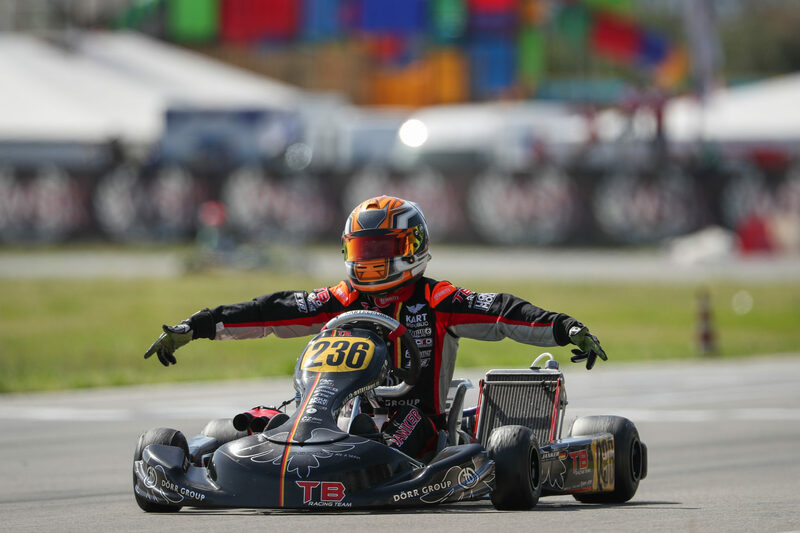 Your Kart Republic teammate, Lorenzo Travisanutto, did a beautiful gesture back at Ampfing, in Germany, by letting you win to secure your lead in the championship. Had you expected such a move from him? I didn‘t know anything from the order to change positions. Travisanutto is one of the best sports guys out there. He always races for the team, not for himself. To be honest, I would rather lose the title instead of winning it like this. Luckily, I won by more than 5 points, so everything is fine. In terms of driving, where did you feel at your best this season? I started very strongly, especially at the Winter Cup, in Italy, where I managed to be fast in all conditions. To the middle of the season, I wasn‘t that happy with our performance because we missed a bit of speed. Looking back on the last round of the OK European Championship at Essay in early August. Things did not really go as planned, I presume? Essay was a particular disaster for me. I didn‘t have any chance to fight for the win. But looking back on the past, I never had any chance on this track. Maybe it’s just the layout. We saw many top drivers also having problems during that weekend. Let’s reflect on the World Championships in Sweden, back in September. Did it live up to expectations, and what was it like duelling all weekend long with Lorenzo Travisanutto for the crown? We already did a three-day test in Kristianstad, which was, in my case, really a lot. But I knew whatever the outcome I would be happy too, because the year has already been amazing. It was a good feeling to fight the whole weekend for the title. We were fast in all conditions, that was a great feeling. 1, Janker, Hannes(DEU), TB Racing Team(KR/Parilla/B’stone), 10, Travisanutto, Lorenzo(ITA), KR Motorsport Srl(KR/Parilla/B’stone), Kristianstad, 23 September 2018. FIA Karting European Championship, © 2018, Alexandros Vernardis / The RaceBox. It was an amazing battle. Lorenzo and I both have the biggest respect for each other. We raced against each other, but we both raced for Kart Republic which was always the first priority. You stated after the race that 2018 was your last World Championship. Why have you chosen to walk away? I have chosen this because of my university. I‘ve been competing in karting for 15 years, and for the last 10 years I have been with the TB Motorsport Team. It felt like the right moment. You should leave when it’s the best moment. I know that this year everything worked together, I had the best material, and lots of luck. I will see what the next months will bring, but karting is still my life, it’s one of the best racing of all motorsport categories so you never know what will happen in the future. I will never walk away completely, karting is, like I said, my life. Overall karting tracks feels like my home, we had a great atmosphere in the team and I can‘t be without that.